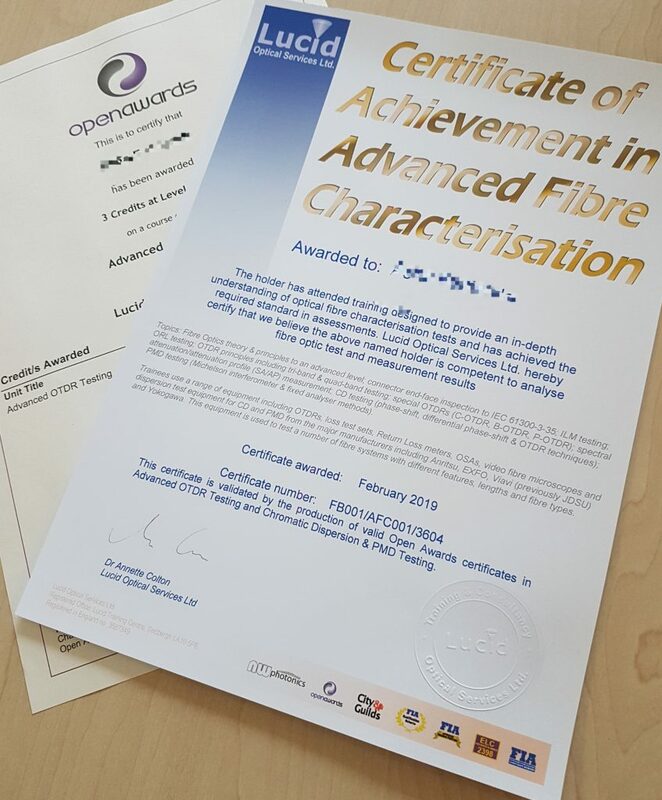 We have not previously issued a Lucid “Advanced Fibre Characterisation” certificate, because our trainees get two formal qualification certificates from Open Awards, but since a trainee asked us for such a combined certificate here it is. We believe others might also appreciate a combined Lucid certificate, so if you have completed the Advanced OTDR Testing course and the PMD and Chromatic Dispersion courses with us and would like the Lucid certificate as well, then let us know. 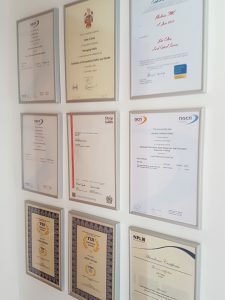 Our certificates are free of charge to our trainees, just let us know your name and contact details and once we’ve verified the awards we can send you a Lucid certificate in Advanced Fibre Characterisation. Lucid has had a busy start to 2019 – we have already received a great collection of nice comments on our course feedback forms! Umbilical Alistair Well presented course. I’ve gained a considerable amount of extra knowledge during the week, increasing the level of confidence when dealing with problems. Umbilical Alistair Very informative and well presented course. Tutors knowledge was extensive and course was well tailored for our requirements. Thoroughly enjoyed he week and look forward to future training. Umbilical Alistair Very knowledgeable, Alistair was very professional and helpful with any part of the course I was unsure of. Umbilical Alistair Excellent course. Alistair was excellent at presenting all the course material demonstrating all the practical element very well. Alistair is a very, very knowledgeable guy & pleasant and would highly recommend him to carry out more courses. AOTDR John Excellent tutor who was very knowledgeable. Highly recommend the training centre. C&G Fibre Alistair Instructor very friendly with great sense of humour. Very knowledgeable and understood very well. Very happy . C&G Fibre Alistair Excellent content and balance between theory and practical. Adaptive approach to order of topics and input being accepted ensured an engaged group. Very conducive to learning . C&G Copper Alistair A little bit far from where I live but I suppose wherever you have the course some people going to be close some going to be far . AOTDR John Excellent tutor who was very knowledgeable. Highly recommend the training course. Umbilical Alistair Well presented course, Alistair was very knowledgeable & informative. Maybe a print out of the daily quiz so can refer to it during revision. Umbilical Alistair Well presented course that was very enjoyable. Taken back to basics which was good to review and go over fundamental basics. Good use of the equipment to give us good confidence to be able to use the equipment when required. C&G Fibre Steve Great course. Keep up the good work . Tutor was clear and precise hence I was able to pass ! C&G Fibre Steve Steve was great at delivering course material. Felt welcomed every day . Overall I enjoyed the course and would highly recommend. Just one week into 2019 and it’s all happening at Lucid. We have had numerous enquiries for our industry leading Fibre Testing and full Fibre Characterisation Training courses and qualifications. The demand in this first week back has already outstripped what we’d normally expect in a whole month. 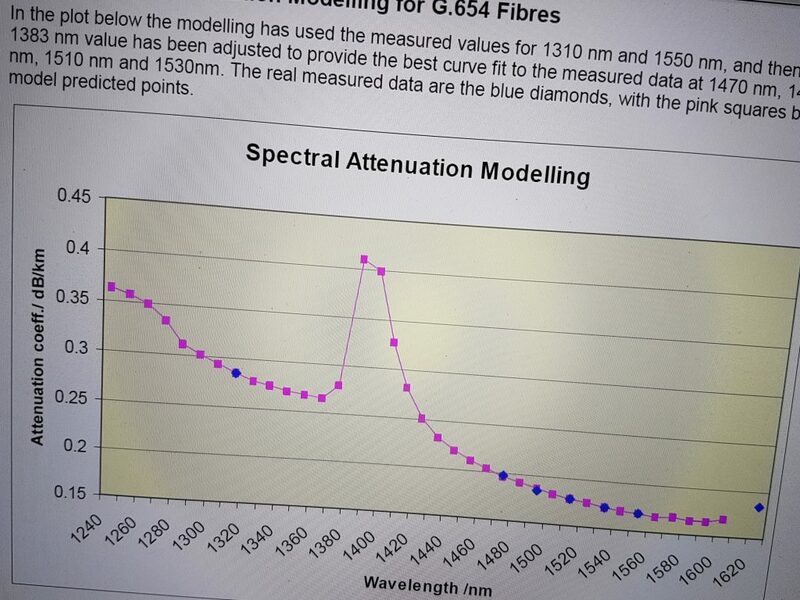 We believe we’re still the only training company to offer full Fibre Characterisation courses with real qualifications provided by an independent UK licensed awarding body. We’ve been delivering this training for almost 20 years now and have a reputation for excellence in this area. For further information on our OTDR courses, Chromatic Dispersion and PMD measurement courses, OSA testing, Spectral Attenuation and Full Fibre Characterisation training please check our website and/or contact us. To respond to the demand we’ll try to schedule an additional public course in the first quarter of 2019, but this can be difficult when other, often closed course, training demand is keeping us busy. Check our website or phone for the latest dates and availability. Another specialty are our Advanced Fibre Optics and Advanced Fibre Networks courses, some of which focus on DWDM and photonics technologies. These are often run as closed courses for clients but seldom as public courses, but if a few of you register your interest then we can look to schedule a public course or two for 2019. 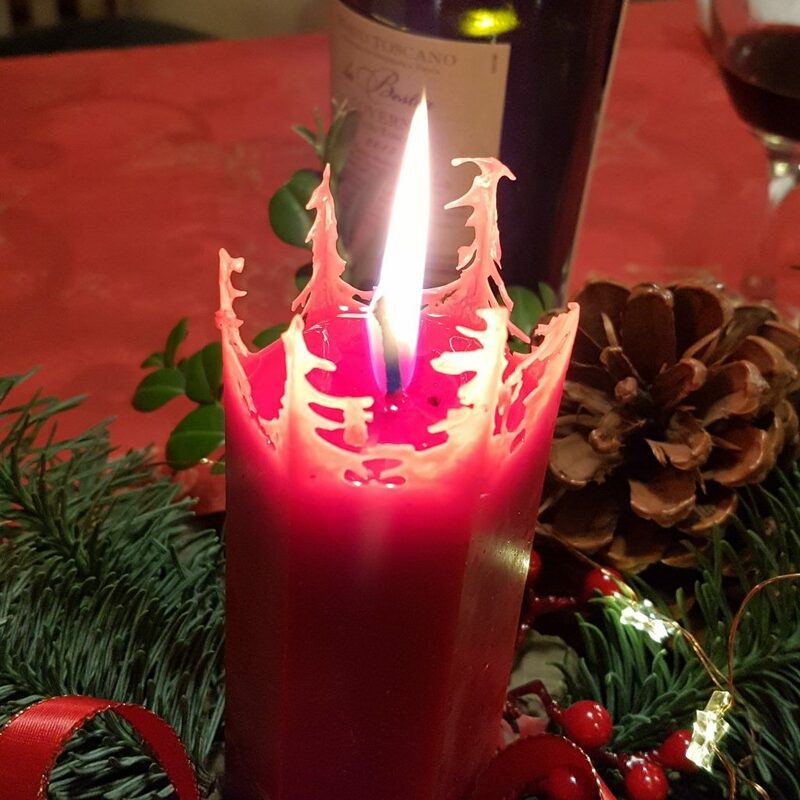 This year we are again donating to charity instead of sending out Christmas cards to our suppliers and customers. Our chosen charities this year are the North West Air Ambulance and The Garsdale Red Squirrel Group. Earlier this year with GDPR regulations coming in we decided not to email our full database for permission to send you an annual newsletter. We got fed up of GDPR emails ouselves so thought others might also be sick of them. Consequently, if you want to know what we’re doing please visit our website, like us on Facebook, or follow our LinkedIn page. 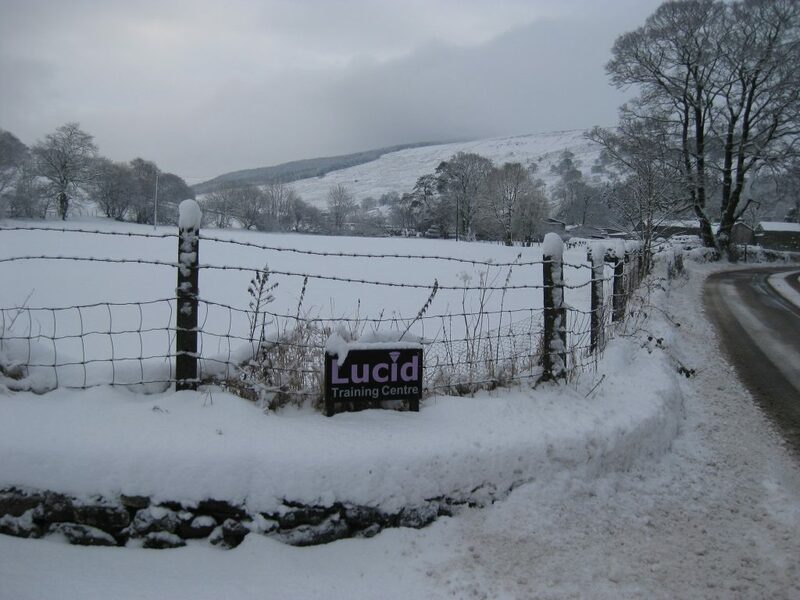 A seasonal picture from a previous year – hopefully we’ll have less snow this winter. Whilst the office is officially closed from this Friday 21st Dec to Wed 2nd Jan 2019, we will still be maintaining the technical support phone service and monitoring email. Remember our technical support is free to all of our trainees so if you need help we’re there for you. At times it may take us a little longer to respond to email enquiries. We trust you’ll understand and we wish all of our trainees and business contacts a Merry Christmas and a prosperous New Year. In the last few days we have had 4 candidates pass their 18th Edition exam at Lucid after only self study at home – Congratulations! For more information about our flexible exam-only option just email or call us – self study can save you money and time. 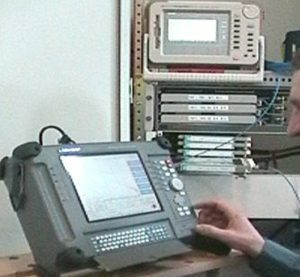 This is Lucid’s original full 5-day advanced fibre testing course, run by John Colton, our technical director who is an acknowledged world expert on the testing of fibre networks, and wrote the first OTDR, CD and PMD courses in the industry over 20 years ago. The course is modular, starting with the “Advanced OTDR Testing” module, followed by the “Advanced PMD and CD Testing” – either module can be taken separately as well if preferred. We still have a few places available, so please contact us as soon as possible if you are interested – due to Johns other commitments and demands for company courses, we only rarely have the opportunity to run this as a public course. We now have a few more places available on our City & Guilds Unit 4 Copper Datacoms running in Crawley nr. Gatwick Airport from 1-4 October, due to a last-minute cancellation. We are still offering a free 3667 Unit 1 exam with the Unit 4 course, to be taken on the last afternoon of the Unit 4 course. Lucid are happy to announce that we now offer the 18th Edition – to be exact, the City & Guilds 2382 – as a time and money saving Exam Only option for those of you who are happy to do a little home study and then sit the exam. We arrange dates and times to suit you, and currently charge £130. For the previous 17th edition we’ve had people come to us from all over the UK. Several from London and the South coast despite the fact we’re based in the North of England. Why? 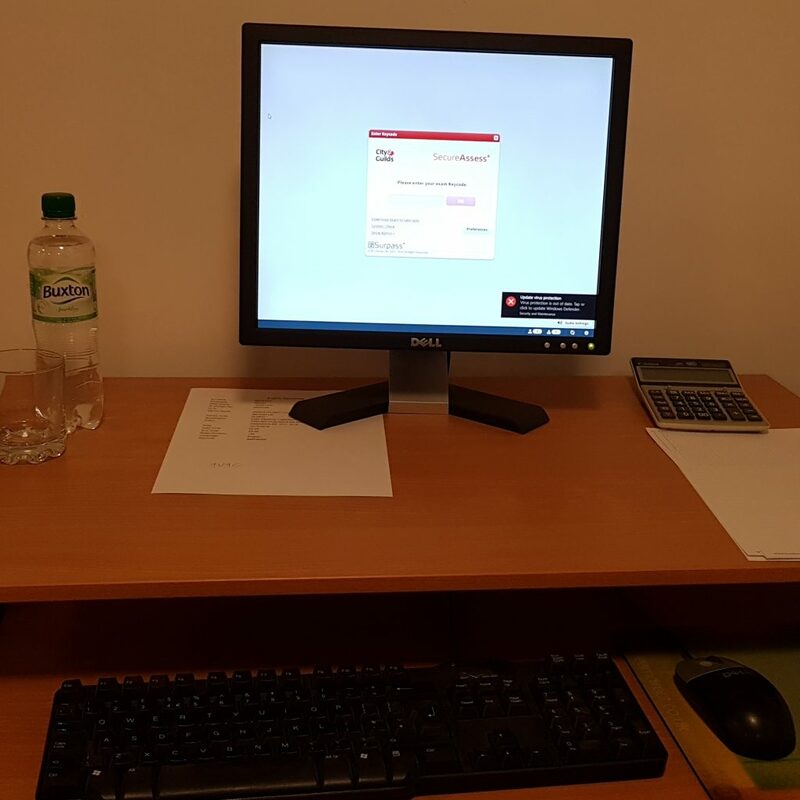 Well we are flexible and don’t mess you around – once it’s booked with you, so far we have never had to cancel an exam – even when we had to dig a way in through the snow for a candidate last winter! Here is the latest batch of Lucid course feedback; this is every single comment we’ve had on the feedback sheets between March and June 2018. We are really proud that so many of our trainees go beyond just ticking all the right boxes and actually write how much they liked the course. Jun-18 Laser safety John Excellent course, very informative.John was superb and made the subject matter very interesting. Would definitey recommend Lucid. Jun-18 Laser safety John Most interesting course I have received. Jun-18 Laser safety John Very good and informative. Met requirements. Jun-18 Laser safety John I found the course very informative and interesting. It had just the right amount of content without being too over complicated. Thanks . Jun-18 Laser safety John John did a very good job explaining all topics. This was a very interseting course . Thanks . Jun-18 C&G Fibre Alistair Fantastic organisation. Very helpful ,many thanks. May-18 C&G Fibre Alistair Very well presented course. Happy with the pass. Apr-18 AOTDR John Having trained with a number of providers in the fibre industry I can say that the standard of teaching and course quality is second to none. Thank you . Apr-18 C&G Fibre Alistair Well run course-excellent knowledge of tutors. Apr-18 AOTDR John Absolutely brilliant course. I have learned a lot. Apr-18 AOTDR John Great course. Very informative. John explains complicated subjects in a way that makes it easy to understand. Mar-18 C&G Copper Steve The course was both fun and useful. If you already have taken the City & Guilds 3667 Fibre course with Lucid, or is considering this, we offer a discount on the second course as well. If interested then please get in touch as soon as possible, places are limited as we only take max 6 trainees on each course. 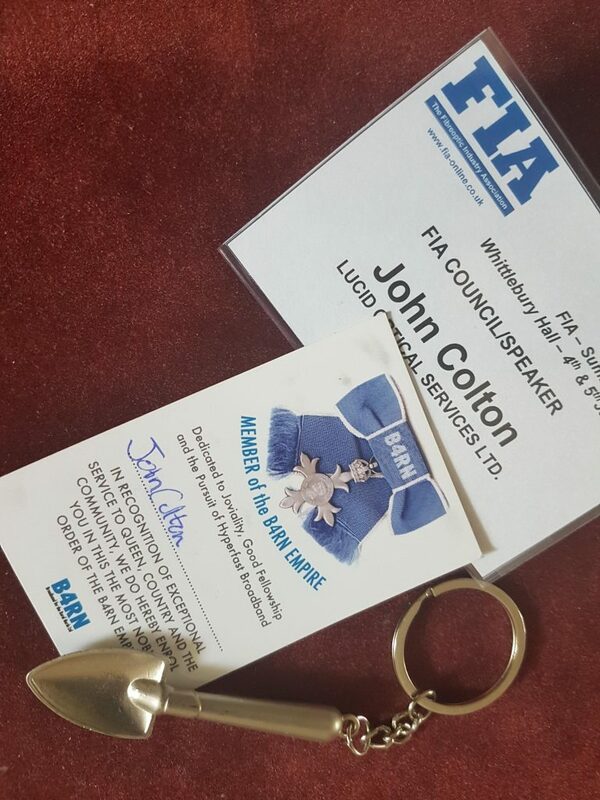 I am very proud to have been awarded a B4RN silver spade by Chris Condor at the FIA Summer Seminar this week. This post seems a bit self-indulgent, but the award was a complete surprise and so being shy I was a little embarrassed and probably didn’t appear as pleased as I was at the time. I also feel unworthy as I’ve helped in small ways from time to time and others have put so much more time in. Due to a late cancellation we now have a few places available on our next City & Guilds 3667 Combined Unit 2 & 3 Fibre course, on 11-15 June 2018 at Lucid Training Centre; This is the industry standard qualification in the UK, covering all areas of fibre installation. We only take max 6 trainees per course so call or email now for the latest price and discounts. 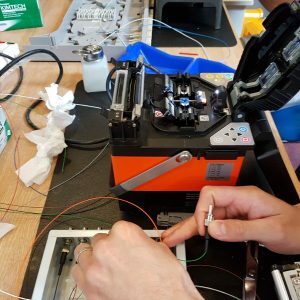 Lucid’s 5-day advanced fibre testing/characterisation course, run by John Colton, our technical director who is an acknowledged expert on the testing of fibre networks, and wrote the first Advanced OTDR and PMD courses in the industry over 20 years ago. The course carries two formal level 3 certificates/awards, starting with the “Advanced OTDR Testing” module followed by the “Advanced PMD and CD Testing” module. Please call or email ASAP to reserve a place – just 2 left at time of writing. Here is another batch of Lucid course feedback; this is every single comment we’ve had on the feedback sheets since July 2017. We are really proud that so many of our trainees go beyond just ticking all the right boxes and actually write how much they liked the course. Jan-18 C&G Fibre Alistair Very happy with the course and all the staff involved. Very satisfied. Jan-18 C&G Fibre Alistair Thank you for a great week and for the knowledge and skills I have gained. 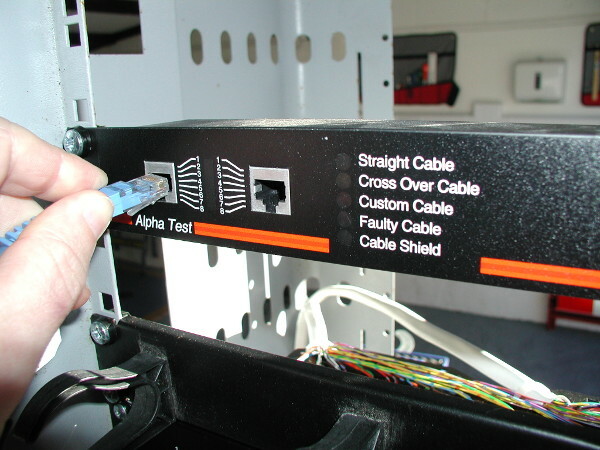 Jan-18 C&G Fibre Alistair Excellent Venue.Really helpful staff. Dec-17 Laser Safety John More in depth than expected. Very informative and appreciated. Dec-17 Laser Safety John Very good course , well presented. Dec-17 AOTDR John John was knowledgeable friendly and patient and I feel that I can put into practice what I have learned with confidence. I would recommend Lucid to anyone interested in learning about fibre optics. Dec-17 AOTDR John Amazing course , full of useful content which I will use in the future. Nov-17 C&G Fibre Alistair Course was very good and explained well for myself to understand. Would recommend course to anyone. Nov-17 Adv Fibre Charac. John Very comprehensive. Very well pitched. A wealth of real world examples. Great instruction. Nov-17 Adv Fibre Charac. John Fantastic course which covered everything. Delivered by the most knowledeable instructor I have come across. Nov-17 Adv Fibre Charac. John Excellent course ! Nov-17 Adv Fibre Charac. John Excellent course. Very well delivered. Nov-17 Adv Fibre Charac. John Excellent course material and presentation. Thoroughly enjoyed all aspects of the course and my understanding of the content has been greatly improved. Nov-17 Adv Fibre Charac. John Excellent course. Tutor was very knowledgeable. Would recommend the course to other colleagues. Nov-17 Adv Fibre Charac. John Really enjoyable course. Instructor is very knowledgeable and has a very relaxed approach to teaching. Sep-17 C&G Copper Alistair Everything was perfect. Thank you very much for everything. Sep-17 C&G Copper Alistair The material was very clearly presented. Very understandable. Sep-17 C&G Copper Alistair All was clearly represented. Sep-17 C&G Copper Alistair Thank you very much Alistair. Everything was perfect. Sep-17 C&G Copper Alistair Course tutor was so friendly and explaining everything very detailed. Such a nice guy ! Sep-17 C&G Copper Alistair With more than 10 years experience I am still learning things. Our tutor was brilliant. Thank you ! Sep-17 C&G Copper Alistair Tutor is a great professional . Sep-17 C&G Fibre Steve Was a very enjoyable week. Course was run in an excellent way. All staff are helpful and friendly. Would highly recommend. Sep-17 Umbilical Alistair Suggest a test at end of each module. Too much information. Sep-17 Umbilical Alistair Good Course but would prefer test at end of each module. Jul-17 C&G Copper Steve Really enjoyed this course.Made to feel very welcome. Standard of tuition was excellent. Jun-17 AOTDR John Very helpful course. Gained a lot of info I can take back to my working day . Many thanks . Due to a last-minute cancellation we now have places available on our next City & Guilds 3667 Combined Unit 2 & 3 Fibre course, on 12-16 March 2018 at Lucid Training Centre; This is the industry standard qualification in the UK, covering all areas of fibre installation. We only take max 6 trainees per course so call or email now for the latest price and discounts. 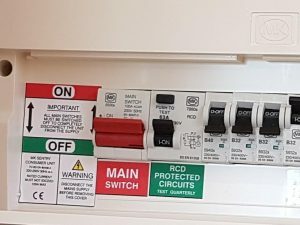 Due to the snow last week, we will be running the City & Guilds 3667 Unit 4 Internal Copper Datacoms course from 19-22 March 2018 at Lucid Training Centre, with two separate courses at Lucid Training Centre and at Crawley on the same dates. This course covers all aspects of Ethernet, Cat 5,6, 7 and upcoming 8, voice, and standards for structured cabling. 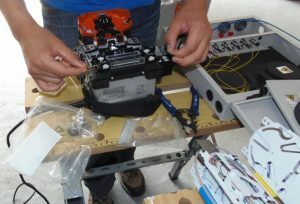 generic so covers all brands of equipment, unlike the various manufacturer’s own courses available.